I've been living vicariously through the bloggers lucky enough to be in New York for Fashion Week, and one of my favorite spring lines so far is by Lauren Moffatt. Crochet, cut-outs, and stripes, some of my favorite things. And since we still have the rest of fall and winter before spring, check out some of my favorite looks from her Lauren Moffatt Fall 2012 line after the jump. I love that last dress with the sequins on the bottom. So cute! Love these looks, especially that white dress at the bottom, beautiful! I have been living vicariously through other bloggers as well!! I am so ridiculously jealous! I am making it my mission to get to fashion week next year. And I love the whole Lauren Moffatt line! I am in love with the middle dress from fall. I think she belongs in my closet. Very different and fun! Loving the new look! 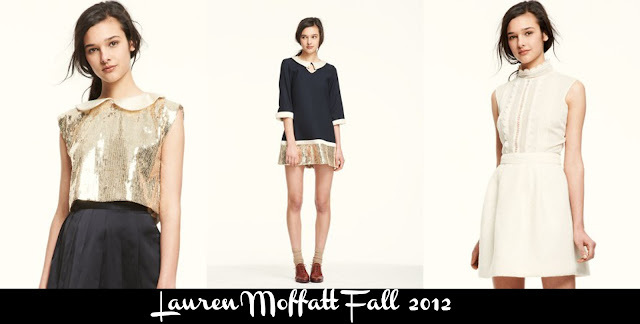 I'm obsessed with Lauren Moffatt, and this might be my favorite collection yet! Amazing colors. 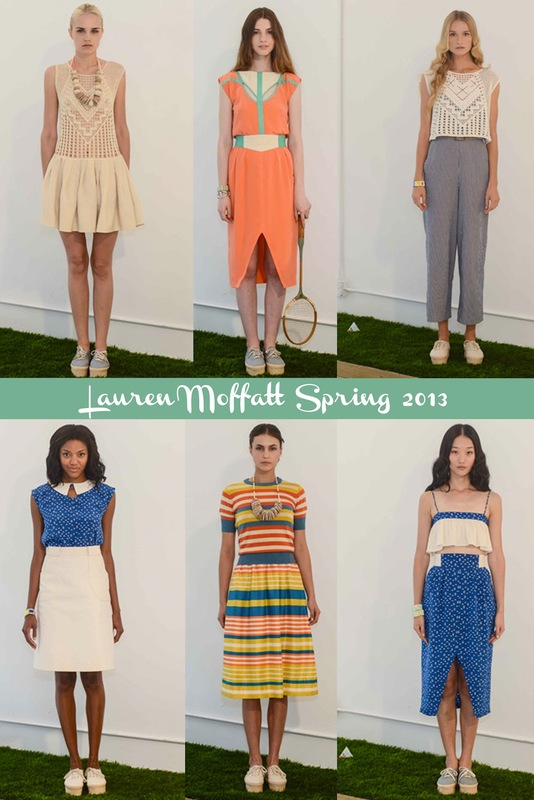 I'm such a big fan of Lauren Moffatt - she comes up with the loveliest outfits! I was already on board with this just seeing that coral number...and then you hit me with the *SPARKLE*! Gah! All three of those last dresses have me reeling...especially that black one! Her pieces are beautiful! Love all the beautiful colors!